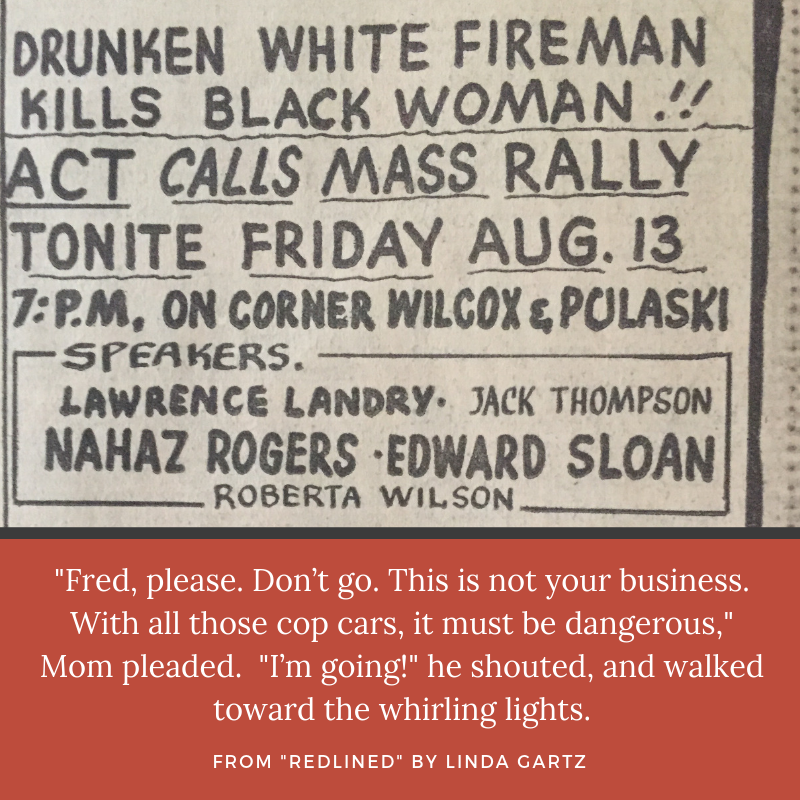 It was after nine thirty when Mom, Dad, and Billy approached the intersection of West End, a block north of Washington, where police cars blocked Pulaski. An officer directed Dad to turn west. Turning slowly, Dad peered south. Dozens of flashing blue lights scattered the darkness. In the distance rose tongues of flame and billows of smoke. “Fred, please. Don’t go. This is not your business. With all those cop cars, it must be dangerous,” Mom pleaded. “I’m going!” he shouted, and walked toward the whirling lights. When Paul heard the back door open, he dashed from his bedroom into the kitchen. He looked to Mom and Billy. “Where’s Dad?” he demanded. Paul pulled free of her grip and ran to the front. The door slammed. He leaped down the steps and strode east, half running, half walking. He knew Dad would have gone straight to the action. Dad’s years in the business of fire protection and underwriting had made him a junkie for conflagrations and firefighting tactics. Paul ran south to Madison Street, then turned toward Pulaski on deserted sidewalks. The eastern sky glowed a lurid, smoky red. Slowing his pace as he approached Pulaski, he couldn’t absorb what was happening on the streets where he had grown up, shopped, and played with friends. All hell is breaking loose, he thought. Fear clutched his throat tighter with each crash and whoosh in the distance. As he approached Madison and Pulaski, a scrum of young black men rounded the corner ahead and blocked his path. “Hey, white boy?” one guy said to him. “You don’t wanna go down there.” He gestured at the red sky. “Don’t you know they killin’ your kind?” In moments, Paul was surrounded by at least seven black men, with many more behind them. “I’m looking for my father,” Paul said, keeping his eyes on the guy who had spoken to him. The young man had bright eyes. Smart guy, Paul thought as he appraised his situation, even as he felt the sweat gathering under his armpits, his heart moving to his throat. The man confronting him stood about five foot nine, had a moderate build, and appeared to speak for the group. Next to him stood a guy, drunk or high on drugs, wide and muscular. He locked his bleary, empty eyes on my brother and didn’t move or say a word. Paul thought, This guy could kill me in a second—like squashing a fly. I can’t let them think I’m afraid. After about fifteen minutes, Paul said, “Well, I understand your position, but now I really need to go.” He backed away. 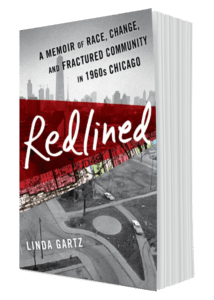 Read Linda’s Chicago Tribune article about this riot here.